The latest appearance of Facebook or often been regarded as Facebook timeline makes a lot of users able to express themselves through their best photos to be displayed in the header or the main page of the Facebook profile. Every since the Facebook timeline runs, there are a lot of websites and blogs that provide the various interesting cover photos. These photos can be downloaded directly and used freely. 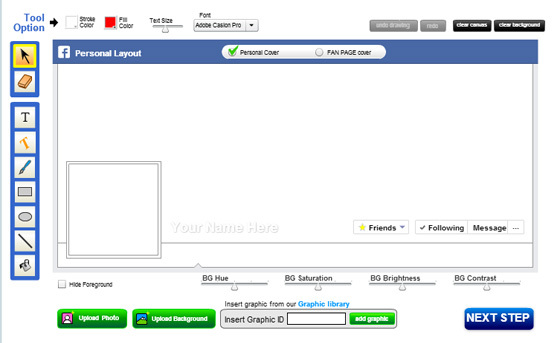 However, if you wish to be able to make your own cover for Facebook timeline, there will be an easy way. Once again, the serious photo editing skills are not particularly important. Just go online through the desktop PC or a laptop and immediately create the coolest photo for Facebook timeline by using the online application of the Facebook timeline editor. What will be necessary to be prepared is a photo for the background and the planned design. It is okay if one has no photo for background because they can easily choose or even create a new one. 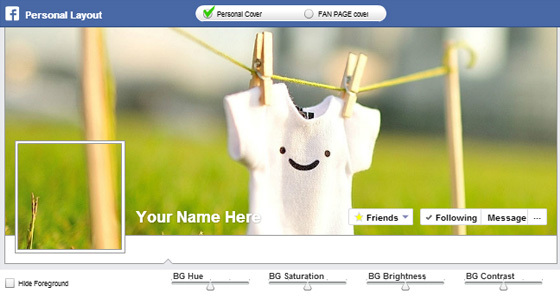 Timeline Cover Banner is a website that provides the application to make a cover for a Facebook timeline for free. Its latest tool called advance cover editor makes the making of the cool cover Facebook easier and can be edited alone without a problem. The the background photos has not been prepared, click on the green button of "Star Design Facebook Cover" and there will be options of various interesting photos that can be chosen for the Facebook timeline. If the background photo has been chosen or the personal photo will be used, go ahead and click on "Personal Cover Maker". 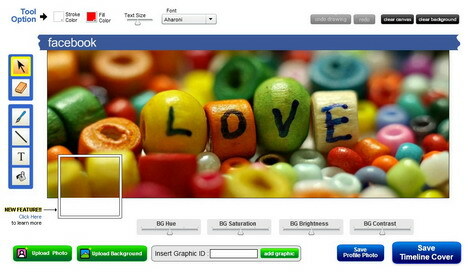 The standard size for the background photo for Facebook will be 851 pixels in width and 315 pixels in height. Meanwhile, the profile picture will be 160x160 pixels by the maximum size of 180x180 pixels. In the section of the Advance cover editor, choose the cover that will be made whether for the page or the profile. The interface of the cover editing application is quite easy. The upper part of the menu tab is consisted of buttons of adjustment for the colors and effects of photo. The lower tab is consisted with buttons to add background, graphics, text as well as a photo frame. The left tab is the tool to edit the cover manually. The way to create cover Facebook by using Timeline Cover Banner is fairly simple. Just upload a background photo from the computer and add graphics and text onto the cover. Choose an effect from the upper part and then save the server and the process of making a cover is finished. First, download the .pxd file. Upload/open it with Pixlr. If you’re not familiar with it, this file is a .pxd file. That’s Pixlr’s native file format. You can open this template in Pixlr and work with each of the separate layers. Once you’ve composed the image you want, hide or remove the avatar, overlays, thoughts, text layers, etc. Then, flatten your image. Your final product will be one simple image that is 851x315 pixels. We recommend saving it as a PNG or JPG when you’re done. Creating the profile page and the Facebook page to become unique and attractive is very important, especially on the Facebook page used for the support of online business on the internet. With the help of the application to create the cover photo above, it’s making the creation of photo for Facebook timeline easier and fast.